Connecticut stands as one of the greatest states in the United States to play golf. The bad news are that most of the best courses are only private, so it is necessary to make some research in order to find the best public tracks anyone can play. But don’t worry! We have already done that for you. Here’s our top-10 public courses to play in the Constitution State. Let us know what you think! 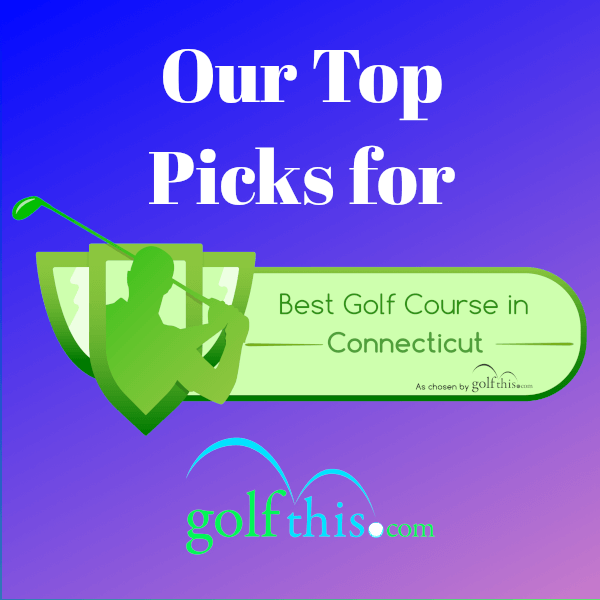 The Lake of Isles golf facility is located in the south eastern side of Connecticut, only a 20-minute drive from its border with the state of Rhode Island, and it offers by far the best public golf experience in all Connecticut. Its location is priceless, around the actual Lake of Isles: a 90 acre lake that gives the course some great views and multiple wetlands. This facility counts with two courses, the North and The South, however, only the former is open to the public. Opened in 2005, the North Course offers 18 holes designed by renowned architect Rees Jones, and it is said to be more challenging than its sister the South. Many courses start quite easily and forgiving, in order for the golfer to warm up and gain some motivation. In the North course it is the opposite: the first hole, called the Spadefoot Toad, is a long and tricky par 5 which ends in an elevated green well-protected by bunkers. Some great holes are the par 4s Eastern Coyote (6th) and Ribbon Snake (9th), both with a challenging dogleg; and the finishing 18th, called the Golden Shiner, an exciting last hole to end up your round in a legendary way. However, this course has some drawbacks as well. Rates, for example, are not cheap, surpassing the $100 in most cases and seasons. Another disadvantage is the impossibility of walking the course, as holes are a bit far away from each other. Nonetheless, green fees include the golf cart rental. Situated in Bloomfield, only 15 minutes from the capital of Connecticut Hartford, Wintonbury Hills opened to the public in 2005, and was designed by Tim Liddy and Pete Dye. It counts with some wide and rolling fairways, in a mix of link style and woodlands that makes this course a pleasure to the eye. Its signature hole is clearly the 14th, a par 4 that plays along the Tunxis reservoir, a water retention deposit which lies near the course. Rates hear are cheaper than in the Lakes of the Isles, ranging from $30 to $70 depending on the time and season. They also count with a great mobile app, where it is possible to see the GPS and the scorecard, to book your tee time, to see live leaderboards, or track scoring stats. A nice practice facility including a driving range, putting and chipping green; and a great clubhouse, with the restaurant “The Tapper Inn” and a pro-shop complete the wide range of services at Wintonbury. This time we move to the south of Hartfield, where we find the little city of East Haddam. Here lies the Fox Hopyard Golf Course, a track where you will feel a private touch although it is completely open to everyone. Actually, the club members and the public coexist in a perfect way, and the staff treat everyone equally, in the best way possible. This is something people appreciate enormously, and it is due to the fact that this is not the classic private course. Annual membership fees range around $3000, not comparable to the ones of some of the private clubs around, which tend to be way more expensive. Green fees for the public are not cheap, but acceptable, oscillating between $70 and $100 per round. The course was designed by Roger Rulewich, who made a track challenging but still fair to the player. The best hole here can be the finishing one, a par 5 which ends up in a green along a beautiful pond and fronting the clubhouse, which will make your club selection essential if wanting to score a last birdie to your round. However, there are some other great holes here, such as the outstanding 4th, a downhill par 3 which plays to a well-protected green. In their website you can check all the holes one by one, apart from all the services they offer, such as events, golf lessons, dining and group outings, among others. Designed by the famous architect Tom Fazio, Great River opened in 2001 in the coastal city of Milford. This beautiful yet challenging course plays along the Housatonic River, and starts in an unusual way: a tricky par 3 ending up in a green behind a stream, completely full of bunkers. Some other signature holes are the par 3s from the back nine: the 11th, playing with a huge waterfall as background; and the 17th, with a putting green free of bunkers and wetlands as landscape. Rates here can range from $80 to $140, being for some people a bit overpriced. However, if you have no problem with this, you will not be disappointed at all with this course. Oxford Greens has a privileged location, really close to the Naugatuck State Forest, between the cities of Oxford and Naugatuck, and less than one hour from New York. Designed by Mark Mungeam, this track opened in 2005, as Wintonbury and Lake of Isles. What a year for golf in Connecticut! The course mixes forests and woodlands with more open fairways and meadows. It counts with some great par 3s: the 2nd, called “Vista”, lives up to its name by offering an outstanding view of the river to the left, and with a fantastic “Biarritz” style green. Or the 9th, “Skinny”, with a long and narrow green which demands great precision from the player. This is a great course, perfectly manicured and for quite an affordable price: around $50 per round, including the golf cart, as the course is not walkable. The Connecticut National Golf Club was built in 1994 by Mike and Sally Donovan, as a private club. However, in 2007, its new owners decided to make it public and renovated it, with Mark Mungeam as the designer. The new course offers a rugged terrain, which is no easy to walk through, so a cart is recommended. This creates some huge elevation changes, all of it decorated with multiple trees aligned with the fairways. The best hole of the front nine is the 3th, a par 4 that includes a dogleg to the left and features some bunkers that will make it a challenge to score the par. From the back nine, we choose the 18th: a finishing par 5 that plays downhill to a green in front of the clubhouse, all of it with great views of the surroundings. And great news about the price: rates are great for the value of the course, oscillating between 40 and 70 dollars per round. This Robert Trent Jones Sr. - designed course is one of the most common golf destinations in Connecticut, as it is quite old, opening to the public in 1969. Featuring 18 holes which counts with multiple doglegs and water hazards, this course is a great yet challenging test for players of all skills. It also counts with one of the best driving ranges in the U.S., a short game area and a putting green for practice, apart from a restaurant and a well-stocked pro shop. Being an affordable course, with rates around $60 and $70 which include cart, this is a well maintained course that do not disappoint. Built in 1970 and designed by Edward C. Ryder, Richter Park has been ranked among the top ten public courses in Connecticut. It is located in Danbury, surrounded by the West Lake Reservoir which plays along seven holes. Apart from water, this course offers some dramatic elevation changes, rolling terrains and some blind shots, apart from the outstanding natural beauty of the surroundings. The course experience is great, with some good and challenging holes that come into play. The 12th is by far the signature one, a par 5 which plays over a bunker and a pond to the green. Make sure of studying the course before playing, as there are no caddy services here! It also offers some practice facilities, but with a little drawback: there is no driving range. However, it counts with some putting and chipping areas to warm up. Although the services are limited, the rates are really cheap, ranging from 30 to 50 dollars per round. This municipal course is located in the area of South Windsor, near the capital of Connecticut, Hartford, and was opened in 2002. It is also quite cheap: rates range from $20 to $35 per round. And while many people may think that this is a signal of a not-so-good golf course, do not let your senses deceive you: Willow Brook is immaculately maintained and has some great variety of holes. With this already said, the course is great for beginners, and that was the objective of their designers, with some wide and forgiving fairways and big greens. However, there is some sloping in them, making it tricky to score well. It also counts with a pro shop with some friendly staff, a nice restaurant to enjoy a great 19th hole and some decent practice facilities. A hidden gem! The last of our top 10 public golf courses is the old course of Pequot Golf Club. Designed in 1954 by Wendell Ross and opened to the public in 1959, it was played by the great Jack Nicklaus in 1966, who still hold the course record of 65. The best thing: its prices, making it the cheapest course of our list. Its rates range from 18 to 30 dollars for playing the whole 18 holes. 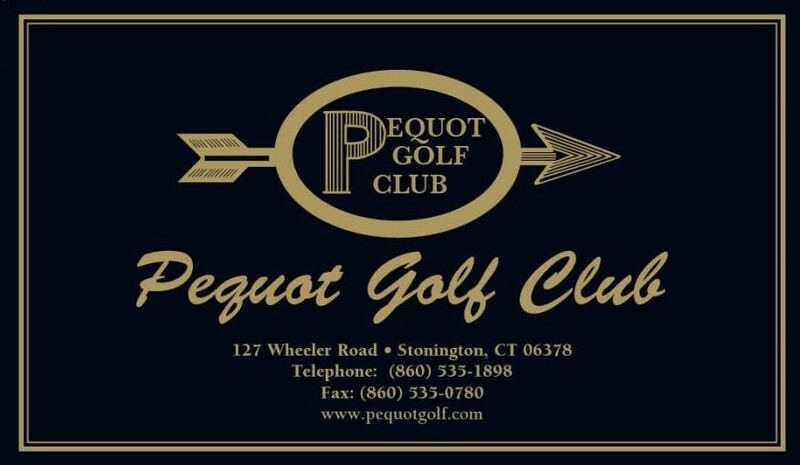 Apart from the course, it offers a wide range of amenities: a nice restaurant called “The Pequot Grille” which overlooks the course, some golf packages with accommodations, and golf lessons for those who want to improve their game. With these ten options, golfing publicly in Connecticut should not be a problem, as there are some great options for every level of play. Look, ask, and decide, and make sure of sharing your experience with us afterwards!